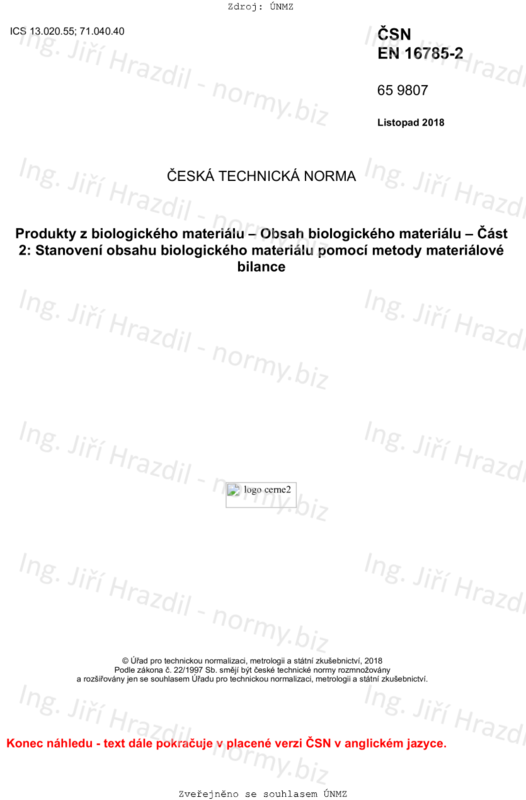 This part of EN 16785 specifies a method of determining the bio-based content in products using the material balance applied to a representative product batch in a production unit. - the bio-based content of the product is verifiable by analysis. This method incorporates only the physical parts of the input and output stream as present in the final product, and does not incorporate material inputs for the energy to be used during the production process. This method is not needed for the determination of the bio-based content in natural products wholly derived from biomass.